As a professional sports bettor living in India, www.Skrill.com is a website I visit frequently (They are formally known as Moneybookers). In case you’re not aware, this is an e-wallet that acts as an intermediary between user’s personal bank accounts and online gambling sites. While it takes a little while to get set up, once you’re registered and verified it makes life as a gambler hassle free. You also don’t need to worry about your bank getting sketchy over gambling payments, because founded in 2001 in the UK, Skrill is one of the world’s largest online money transfer firms with 18.5 million customers from 200 countries (including India). The majority of Skrill users do not use their account for gambling – so banks are used to seeing Skrill on bank account transaction ledgers and thinking nothing of it. We also highly recommend neteller.com. They are another top choice among Indian visitors. Betway offers Skrill for deposit. They also accept INR directly. Sign up and deposit for a 100% Bonus up to Rs. 2500. To give you the quick gist of how Skrill works. You register an account at their website, and then link both your credit card and bank account to it. From here you can load funds to your Skrill account and then use these funds to deposit at a gambling site. When you want to cash out from a gambling site – you can request a Skrill withdrawal. At any time you can request Skrill deposits all or part of your account balance to your Indian bank account – the process for them to complete this takes about a week. While there other e-wallets on the market, Skrill is regulated by the UK’s Financial Services Authority – and also operates in 41 currencies including INR. This means you can have your Skrill account in India Rupee, but still make GBP deposits to UK bookmakers that do not accept INR. Or if you’re looking to save money on currency conversion fees you can keep all your transactions in rupees by using a rupee betting site. Hands down Skrill is one the best options for depositing to and cashing out from online sportsbooks. 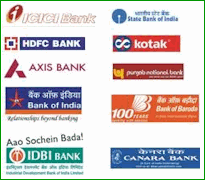 Indian customers have the option of creating a personal or business account. If you intend to use your Skrill account to fund an online sports betting account, you should create a personal account. You can use it to make payments and get paid online. With it, you also have the option of sending money to your bank account. 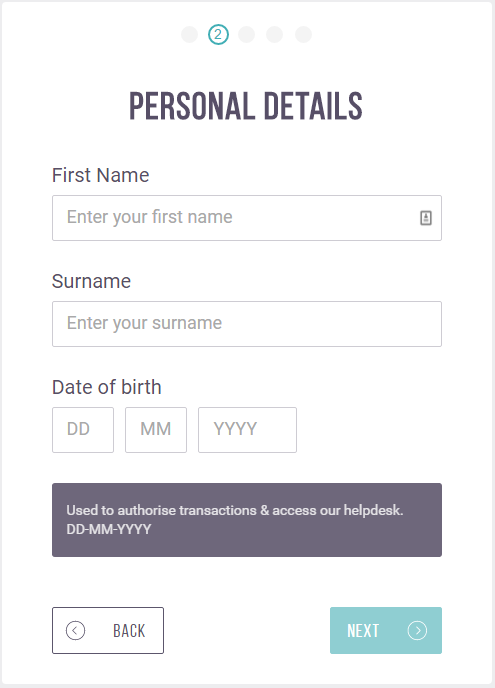 Setting up a personal account with Skrill is quite simple. To begin, you will have to visit the company’s website, and select the “Open a Free Account” from the homepage, or by going directly to the registration page using this link. 1. You will be presented with a registration form. The site will require you to provide accurate details beginning with your preferred email and password (which you will need to retype for verification). 3. Next you will select your country of residence preferred currency. Players from India should typically opt for INR as the currency setting. This should be done carefully as the site will not permit you to change the currency later on. Skrill allows only one account per person. This is part of their security protocol. If you create more than one, there is a possibility they’ll freeze both accounts and you will not have access to either. Account credentials like your email address and password are mandatory fields. When you register with the site, you also have the option of getting information on promotions and offers the site may feature. For this, you will have to opt in by checking the field provided on the registration page. You’ll also need to select a security number when registering. 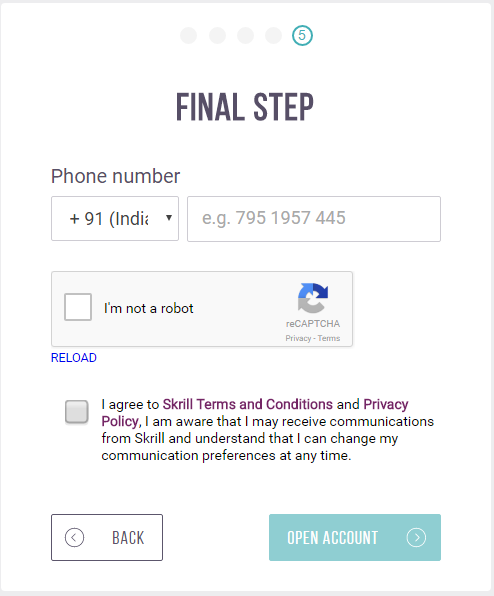 One of the most important steps in creating an account with Skrill is verifying your email address. This should ideally be done immediately after creating your account to ensure your account is fully functional and eligible for withdrawals. In case you don’t verify immediately, the site will send reminders prompting you to do it as quickly as possible. Email ID verification is a simple process – all you need to is click a link located in their welcome e-mail. In addition to verifying your email address, you’ll also need to verify your physical address. Skrill will mail a 6 digit code to the address with which you register. Once you receive the mail, you will have to enter it in the verification page on Skrill’s website. Ensure that you enter the number correctly. This will allow the site to verify your address. After this is done, Skrill will most likely increase your withdrawal and deposit limits. Debit or credit card linking is a key step in making an account with Skrill. This is crucial if you intend to start making online payments instantly. It is not a mandatory step; however, it is recommended, as it enables immediate online payments. You will have to select the card type you intend to link, the card number and its expiry date. 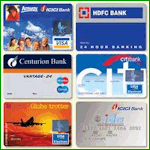 Master Card, Diners Club, American Express, Visa, Visa Electron, Delta/Visa Debit and JCB are the card types Indian players can choose from. The card you register at the site should have the same card holder name as the one you sign-up with. Only then will Skrill verify your card. Once you enter and submit your card number, the site will charge your card with a small amount. You will have to key in the exact amount that has been charged. 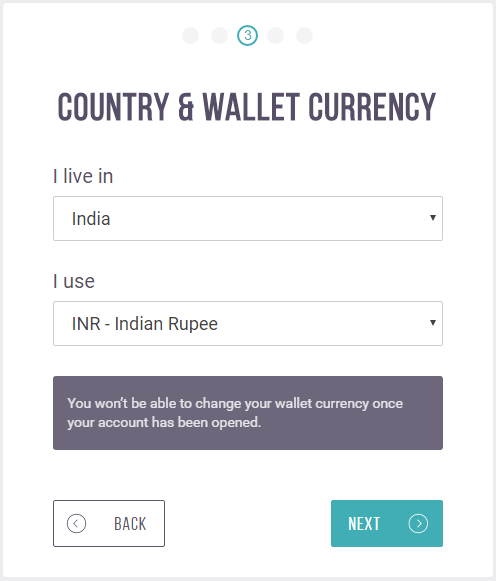 In case the amount is in INR, Skrill will require you to enter its currency equivalent. Ensure that the currency and sum are converted accurately. If not, the site may disable the verification process for 24 hours. A key factor to remember when registering your card – it should be one that is compatible with Skrill. You will not be able to transfer funds if you use one that is not compatible. For instance, Indian players who use an ICICI debit card with Skrill cannot transfer funds because this card is incompatible. Select the “Verify” hyperlink associated with the card you wish to verify. View your credit/debit card history to find that transaction. Once it appears, ensure you are logged into your Skrill account, select “Debit amount and verify” from the verify window, and enter the amount for confirmation. According to Skrill, this process can take as little as a few seconds, but up to a few days. Be sure to contact their customer support team if you have any questions. Helpful Tips: Contact your bank to find the “exact amount” charged to your card in Euros. Also if you’re using a Visa card to deposit, if you’re prompted to use a verified by visa password, this might be required even though the option to skip is given (if you skip it will come up declined). You should do a simple Google search of your banks name with the words “verified by visa” to find instructions on how to enroll. In order to withdrawal funds from Skrill you’ll need to link your bank account. For this, you will have to employ the SWIFT code your bank assigns for wiring funds. To note: all banks have SWIFT codes; however, it is possible that some branches may not issue them. In case the branch you register with does not provide this, you will have to get it through its customer service cell. You may be charged a fee for this, based on the bank account you add. Ensure the SWIFT code given to you is synced to the currency option you opt for with Skrill. The verification of your bank account follows similar steps above for to verify credit/debit cards. With Skrill, you can make payments to your online sports betting account instantly. This makes it a convenient option for funding your bankroll. With this, you can enhance your bankroll whenever you want to, without delay. This will help ensure that your bankroll is always funded and your betting action is uninterrupted. Your account with Skrill also comes with a transaction history feature. You can use this to maintain a record of the money you spend on online betting with sportsbooks. This is a handy bankroll management tool that can enable you to track your online spending. To be able to use Skrill to fund your account, you should ensure that the site you play at offers this as a payment option. Uploading funds to your Skrill account is quite easy. Most of the options provided enable instant uploading of funds. To start uploading money to your Skrill account, you will have to click on the “upload funds” option on the page. The time require for processing requests with each option will be provided on this page. The security measures employed by Skrillare among the best in the industry. These meet the highest standards of encryption. The solutions employed by Skrill are the most advanced. With these measures, all your transactions with the service provider are safe. 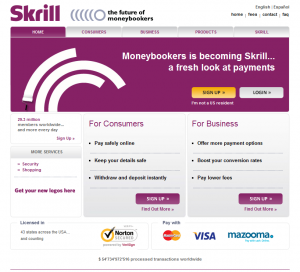 www.Skrill.com is one of the most convenient payment options available online. There are several features that enable this. 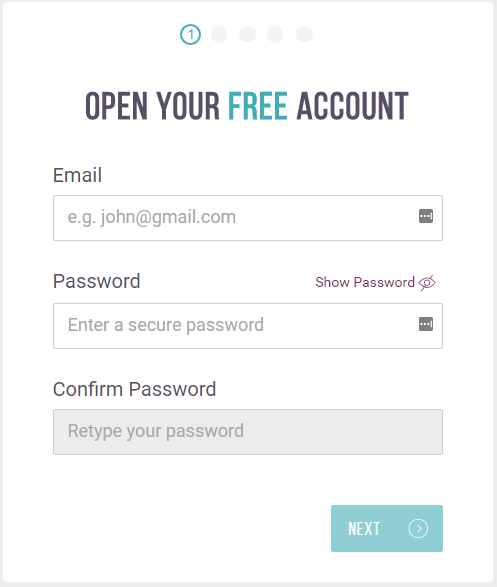 One is that you can make payments using just your email ID and password once you register with Skrill. You can link your bank accounts and credit/debit cards with your Skrill account. This will allow you to choose payments options and fund your account with ease. With this provision, you can skip the inconvenience accompanying most other methods, like entering your account or card details every time you want to fund your sports betting account. The transaction information provided in your account history can be accessed at all times. You can transport these details to an excel file. This will enable you to track your transactions with ease. Skrill offers account holders additional services. Two of these are provisions for sending faxes and SMSes. Skrill has a very efficient Customer Service Department qualified to handle all requests for support. All you have to do to gain access to them is, log in with your account. This will enable the team to process your request for assistance effectively. Skrillis one of the few online money transfer options that charges low fees. When you send money using Skrill, you will be charged 1% (maximum of 33.34 INR). You can receive funds for free with the service provider. You will be charged a fee of 1.90% when you upload funds to your Skrillaccount. 120.3 INR will be charged if you withdraw funds using SWIFT and 233.39 INR if you use Euro Cheque, GBP or USD. Active users of personal Skrill account can use the company’s services for free. However, you will have to pay 20.00 INR on this account if you don’t use it. The best betting site for Indians looking to use Skrill is no doubt Betway. There you can fund your account, make wagers, and cash out winnings using Indian Rupee as you currency. The savings you’ll experience as the result of not needing to change rupees to dollars, pounds, or euros, are significant. Once you get your account set up, you can instantly start betting cricket or any other sport online.